What would you do if you noticed some of your students doing this? In the book Building a Better Teacher: How Teaching Works (and How to Teach It to Everyone), author Elizabeth Green tells the story of noted mathematics educator and researcher Deborah Loewenberg Ball posing this dilemma to a group of teachers. Dr. Ball’s 30-year study of effective math teaching practices at the University of Michigan has convinced her that to teach math well, teachers need a specialized type of knowledge she calls Mathematical Knowledge for Teaching. Mathematical Knowledge for Teaching (MKT) encompasses abilities such as analyzing the student thinking that led to an incorrect answer, identifying the mathematical understanding a student does not yet have, and deciding how to best represent a mathematical idea so that it can be understood by students. How do teachers develop MKT? This knowledge involves decision-making within the context of teaching and therefore requires practice-based professional learning. As I teach my Math Methods course for pre-service teachers, I am conscious of their need to acquire this specialized knowledge but I concede they will have to develop much of this knowledge once they are in the classroom. Professional learning experiences designed to develop MKT are woven into every Math Solutions course. This commitment is part of our Guiding Principles. Mathematics coaching is another powerful vehicle for helping teachers build their Mathematical Knowledge for Teaching. As coaches partner with teachers in the context of planning for, implementing, and evaluating instruction, they have multiple opportunities to grow MKT. Here are some questions a coach might ask to develop Mathematical Knowledge for Teaching related to the above student error. Why might students have made this error? 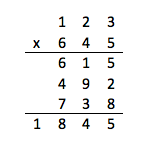 What mathematical ideas are embedded in the multiplication algorithm? How might we make the meaning of the algorithm visible to students? What learning experiences might we design to help students focus on the meaning of computational procedures? What can we watch and listen for to let us know whether students are using a computational algorithm with understanding? As you have coaching conversations around MKT, you not only help a teacher problem solve the specific teaching dilemma she is facing, you also strengthen her decision-making processes for future teaching situations. Building a Better Teacher reminds us that good teachers are grown, not born. Coaching helps to grow teachers, and is especially effective in growing Mathematical Knowledge for Teaching. What are some ways you are working to strengthen your teachers’ MKT? Please share your ideas. Green, E. (2015). Building a better teacher: How teaching works (and how to teach it to everyone). 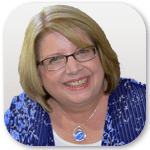 New York: W. W. Norton & Company, Inc.
Sue Chapman is a professional educator, presenter, and author who has devoted over 30 years to instructional improvement and mathematics education. Throughout her career, Sue has served and taught in several different areas of professional education, including instructional and leadership positions. Sue’s passion for professional learning and her ability to inspire teachers to come together around a shared vision of success have been instrumental in helping schools and districts develop systems and internal capacity to achieve continuous improvement of mathematics instruction.